(HOMEAGAIN Pet Microchip Identification System and Recovery Service)We offer microchip identification as a means of permanent identification for your pet. We use the HomeAgain microchip. 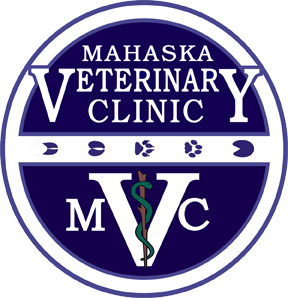 Microchipping can be done on an outpatient basis and many clients elect to microchip when their animal is spayed or neutered. A tiny microchip, the size of a grain of rice, is implanted between the animal's shoulder blades. This procedure takes just seconds and is relatively painless, and is recommended for companion pets of all species, breeds and ages. Individual numbers are registered in the national database managed by the HomeAgain Pet Recovery Service. When a lost pet (cat, dog, etc.) arrives at a participating animal shelter or veterinarian clinic, a Universal Scanner is used to identify the unique encoded number on the implanted microchip and the owner is identified and contacted immediately. The microchip is about the size of a grain of rice! A simple injection is all it takes to implant the microchip. Many pets get lost and are never returned to their owners because they have no identification. Collars fall off, tags fall off. Don't let your pet become a statistic. Microchip and relax knowing your pet could be identified and returned home if he/she was lost. We scan all strays for a microchip in an attempt to reunite them with their owners. Please note: The benefits of microchipping outweigh the risks. Recently, there has been some bad press about microchipping causing tumors. This started when the FDA approved the use of microchips in humans to give doctors instant access to medical records. An Associated Press story reported that studies in lab mice had shown an association between microchips and tumors. There has only been four reports of tumors among 10 to 20 million pets with microchips (the incidence of natural occurring cancer in pets is higher than that!). In two of these cases, the animals received other injections near the site of the microchip (so the tumor may be unrelated).